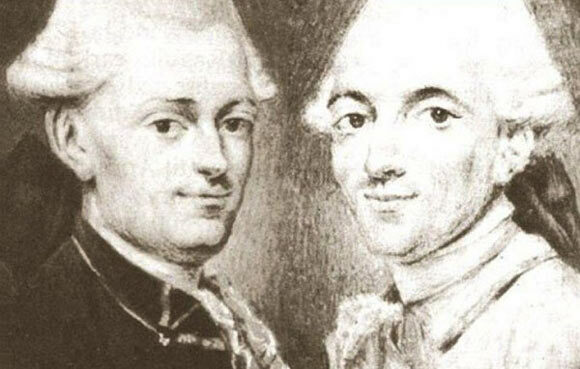 The Montgolfier brothers were Joseph-Michel Montgolfier (1740-1810) and Jacques-Etienne Montgolfier (1745-1799). The brothers invented the first practical hot air balloon and conducted the first manned ballooned flight. They were two of sixteen children born to Pierre Montgolfier and Anne Duret. Joseph was older than Jacques, and was known to be an idealist. Jacques was the presentable one with quiet, pleasing manners and a good business sense. The Montgolfier family business was paper manufacturing, which was a technology intensive industry. Jacques made several improvements to the paper manufacturing process, for which the French government granted the Montgolfier family a grant. The idea of flight first came to Joseph, as he watched laundry drying over a hot fire. He noticed that the fire caused the laundry to float up and wondered if this same phenomenon could be used to create a flying device. Joseph set about to build a box out of very thin wood and covered the sides with a lightweight cloth. He commissioned his brother Jacques to bring a large supply of taffeta cloth and then astonished him by lighting a fire under the box which lifted it all the way to the ceiling. The brothers then set to work to build a larger version of their device, which they took out in the open to test. It was carried away with great force, however, it was destroyed. They then decided to hold a public demonstration of their invention in order to firmly establish their claim to fame. This balloon was large enough to contain 28,000 cubic feet of air and weighed almost 500 lbs. It was made of three thin layers of paper, and covered with a net of cord. The balloon rose 5000-6000 feet in height, and its flight lasted 10 minutes. Their fame spread instantaneously and they subsequently conducted a demonstration at the palace of Versailles before King Louis XVI and Queen Marie Antoinette. Three animals were sent on board as the first living creatures to be airborne, as people were unsure about the effects of high altitude on humans. The balloon remained airborne for 8 minutes and rose to a height of 1500 feet. Using the services of a wallpaper manufacturer named Jean-Baptiste Reveillon, the Montgolfier brothers set about to build a 60,000 cubic foot balloon in which they intended to send humans. This balloon was 75 feet tall and was deep blue in color, decorated with gold figures and a picture of King Louis’s face along with the royal monogram on it. In October 1783, Jacques Etienne became the first person to be airborne. These flights were astounding for the world to see and pictures of balloons were drawn on chairs, clocks and decorative items to commemorate the event. With the discovery of Hydrogen gas by the British scientist Henry Cavendish, there was a simultaneous development of gas balloons. The two technologies competed for attention but it was gas balloons that received most of the patronage and hot air balloons were left largely unexplored. The historic English Channel flight in 1785 by Jean-Pierre Blanchard and Dr. John Jeffries was done using a Hydrogen balloon. There are also some claims that hot air balloons were invented 74 years before the Montgolfier brothers’ demonstration by a Portuguese priest named Bartolomeu de Gusmao but these are largely unaccredited by the aviation community.